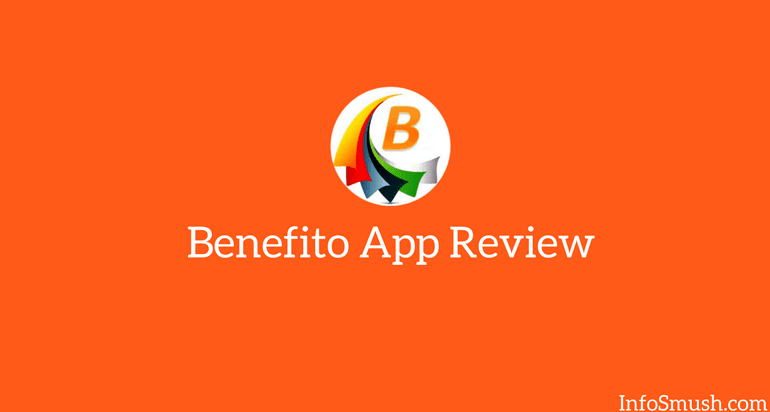 Benefito app pays you for various tasks such as completing offers, surveys and referring your friends. In addition to earning some cash, you can save money and get benefits from the deals and offers listed on the Benefito app. You don't earn any money with these offers. Here you'll find app download offers. Tap on any of the listed offers to see the instructions. Once you have completed the listed steps you'll get the money. In this section, you can earn by completing surveys and more offers. Every day you can earn 100 SAN Points for just browsing the Benefito app. 100 SAN points = Rs.1. For every friend that enters your referral code while registering you get Rs. 5. and your referrals get Rs. 10. You will also get Rs. 1 for every offer that they complete in the Earn section. You can redeem your cash to Paytm wallet. The minimum amount needed to withdraw is Rs. 25. Earn Rs. 5 per referral. Nope. I haven't requested for withdrawal but I've referred a few of my friends but did not get the money.